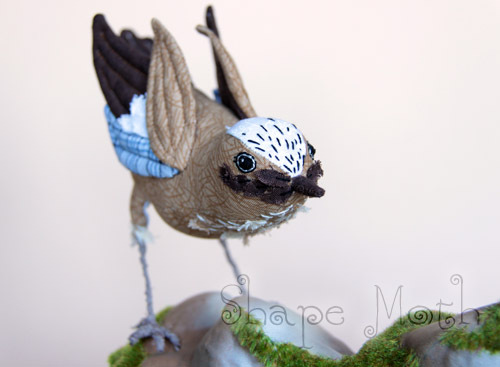 I think everything started when I signed myself for the Birdie Swap (disclaimer :) : this bird isn't for the swap; it's to settle down my creative itch). 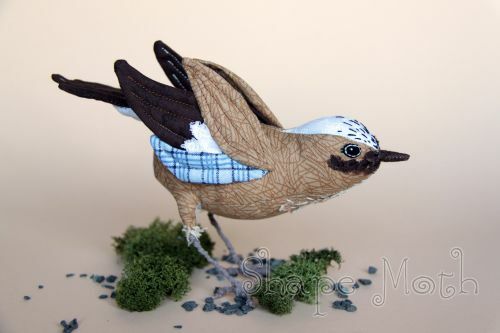 I started to search in the net for the inspirations, pictures of sewn birds, softies, felt birds, ornaments and whatever you can find when you type 'bird ornament' or 'sewn bird' or 'bird pattern' in google. There were some free pdf patterns available, but somehow it wasn't for me. I had to do something else. So I started. I started with thinking what I want to achieve. How it should look like. another try... still some thing were to correct. 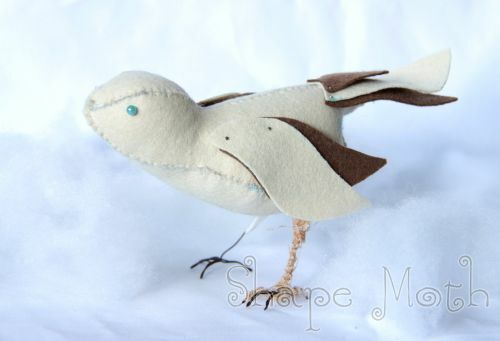 The big minus of starting with felt is that it's completely different from cotton. 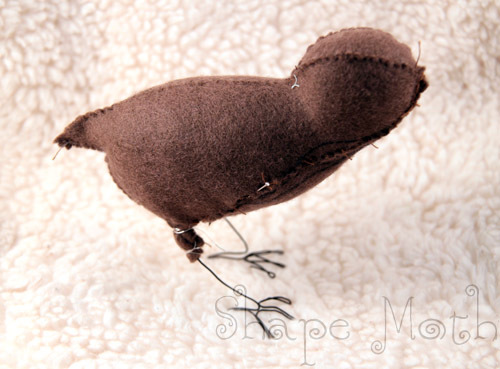 After I had the pattern based on felt ready, it worked out that I have to change it completely for the cotton. 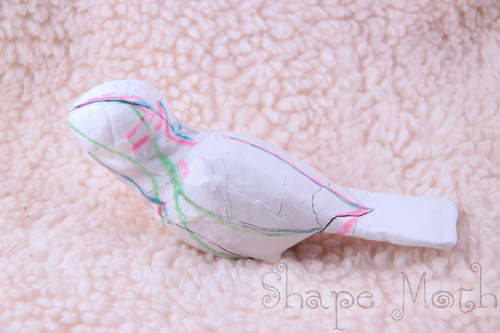 I don't have any photos of the stages of creation the cotton bird, I was just throwing away the ugly birdies. But this is the 'almost' final version. 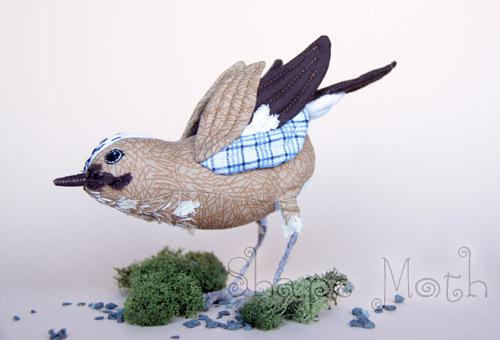 It took me few days to create this bird but I'm absolutely proud and happy of the result. 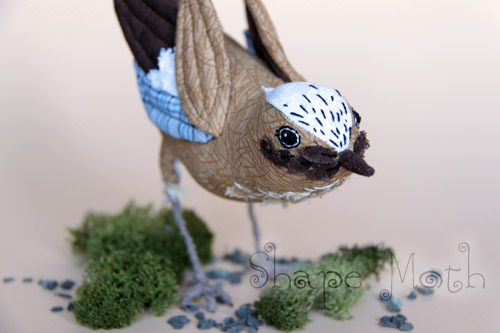 It has wired legs, fabric beak and embroidered eyes. Now... to check if I did well... a riddle: which bird is it? 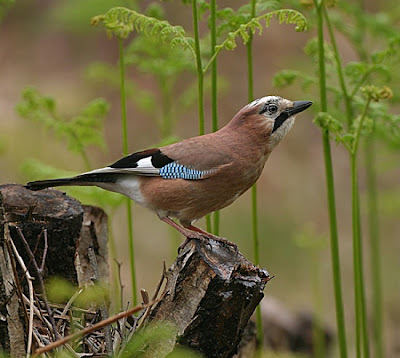 EDIT: Tuome was the first to answer :) It's an eurasian jay. sójeczka ^^ za morze leci? That is fabulous!! It is so lovely. It will make a beautiful decoration for your home! You should be very proud! You are so talented! 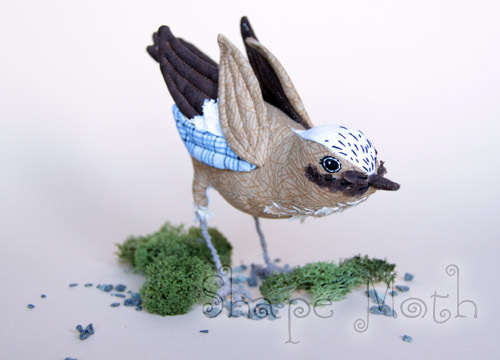 I enjoyed seeing your creation process and am blown away at your final jay. So much life and personality shines through there! Piękna ptaszynka! Jak prawdziwa! Podziwiam za taką misterną robótkę. Śliczności! Amazing! So creative and cute. Kirie, you have just given new meaning to the phrase, "If at first you don't succeed, try, try again!" WOW, WOW, WOW! 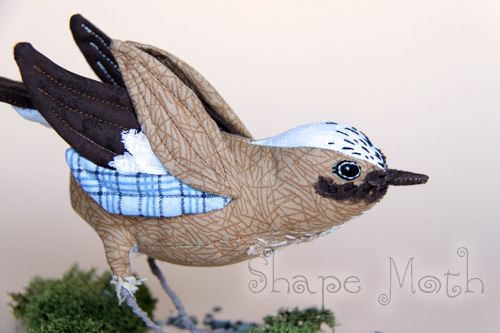 That bird is soooo beautiful & looks as though it could fly right off the blog! Fabulous job! 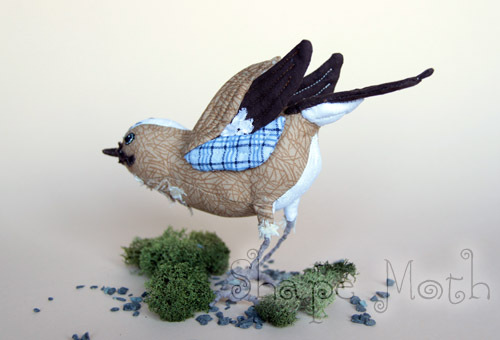 Fabulous birdy-art! SUPER fabulous ARTIST! This is fabulous! Thanks for walking us through your creative process! I absolutely love the wings! Wow! So creative! I am impressed! Hi! Sweet, beautiful and so alive! You are very talented and have made this sweety so great! 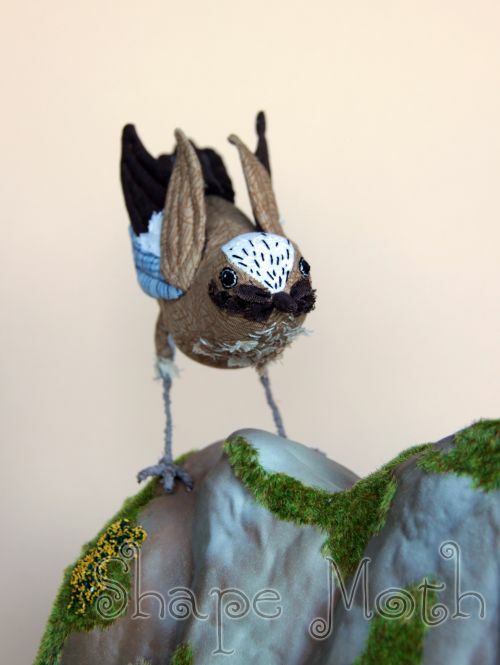 The bird is wonderful! Thanks for sharing your technique. Very creative and beautiful. It is so beautiful. Really, and so much work. What a talent! Very inspiring! Excellent Choice of fabrics and beautiful stitch details. Curious how felt pattern was different from cotton pattern. Was it a complete redesign?